Ben Franklin was wrong. Only death is certain; taxes fluctuate — and some even get away without disclosing or paying them. Last April, my friend the poet A.V. Christie died. It was not entirely a shock, she’d been battling stage 4 cancer for several years, but the fact that she was my age and we’d shared a stage together reading our poems meant it hit close to home. Four and half months before that, another poet friend, David Simpson, died. 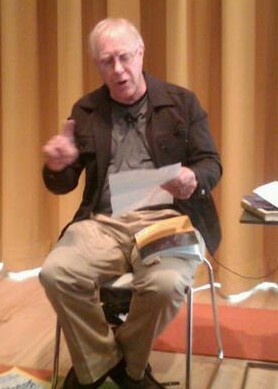 I last saw David reading his poems in New York, his book had just come out. He was seriously ill, but celebrating. That was a lesson for me to choose abundance. Add to that the myriad of more well-known and lesser known poets who die in any given year and it starts to add up: Heaney, Angelou, Kinnell, Waring, Batin, Knott, Strand, Levine, Ritvo, Harrison, Williams, Lux, Tolan, Walcott…the list goes on. All this death — certain, inevitable death — and a growing number of memorial services and poetry reading “remembrances” over the past few years prompted me do two things: 1.) I started celebrating living poets by acknowledging their birthdays and sharing one of their poems on Facebook; and, 2.) I wrote a poem that tried to shed a little humor on this dark subject. I threatened to shout for “Free Bird” if my friend the poet Alison Hawthorne Deming didn’t open a recent reading by singing a few bars of “Stairway to Heaven,” which is the title of her new book of poems. She did it brilliantly and I have photo evidence. Alas, no recording. as so many of them have this year. and witty remarks over drinks or dinner. poets gone this year and last and yet to come. 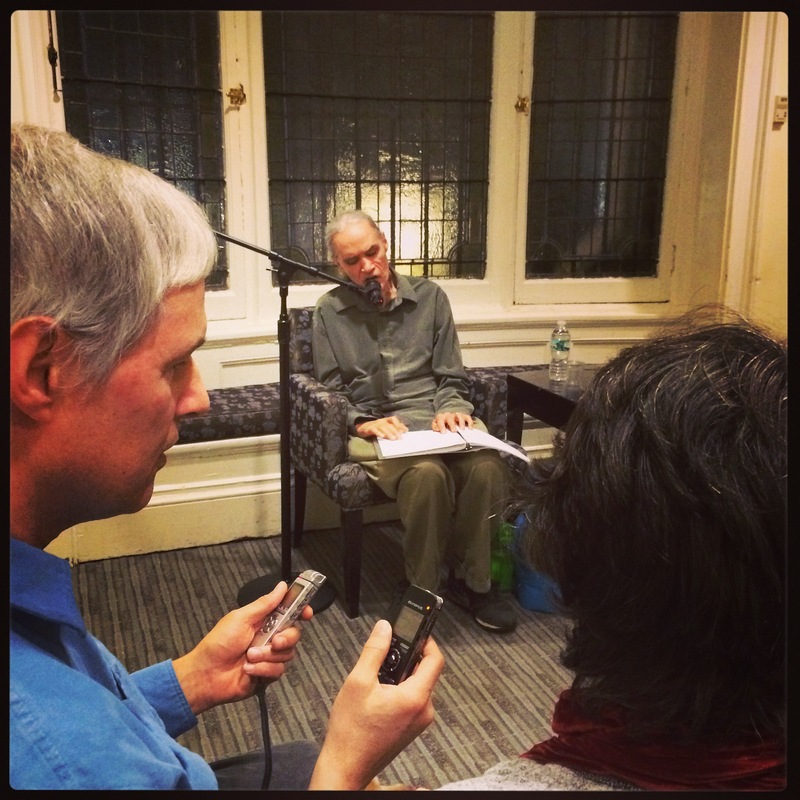 David Simpson reading at NYU CEnter for Creative Writing in December 2014, while his brother Dan records. I’ve known David Simpson for a dozen years, probably more. We were introduced by another writer in Philadelphia and became fast friends, sharing poems with each other, giving readings together on stages and coffee houses. His work reminded me more of Gerald Stern, David Ignatow, or Frank O’Hara than that of any of his contemporaries. I admired a certain casual freedom he offered in his work. When Dave, who along with his twin brother, poet Dan Simpson, is blind, contracted ALS recently, it seemed unfair. Here was this most gentle soul, funny and sometimes acerbic, always caring for others, stricken by a crippling and debilitating disease. Dave and I both agonized over our collections of poetry – for years — and the length of time it took us to compile and find a publisher. Both outsiders in the “poetry biz” world, we had time to refine our collections, sharing poems and encouraging each other – even competing with and inspiring each other. With the publication of his book, The Way Love Comes to Me, just a few months after my Fallow Field, I was ready to celebrate with Dave. It had been a few years since we’d seen each other, as life changes, moves, and other circumstances would have it. So when Dave read at NYU this past winter, I leapt at the chance to go see him, congratulate him, and hear him read again. I wasn’t disappointed. Even though I could see he was suffering and the disease was clearly getting the upper hand in the battle, Dave remained the same hopeful, witty, entertaining, thoughtful person I’ve always known. At readings, his poem “Spring Fever,” was always a crowd-pleaser. It’s Dave’s “big hit.” He had to read it or his fans would clamor for it. He probably grew sick of reading it, not wanting to be a one-hit wonder. When he read it at NYU in December, I immediately wanted to share it with my readers during National Poetry Month this year. Why? Because it has all those qualities I love in Dave and his poetry: humor, pathos, and a beautiful way of rendering tenderness in human interactions. A basketball bounces by the pharmacy as I go in. her hair brushing my hand as she stands up. instill in someone looking for birth control? toward the checkout line, they are ours. PS You can order Dave’s book — and I encourage you to do so — on Amazon. The intimacy of William Stafford’s poetry would seem to belie the enormous popularity the poet’s work has enjoyed, but in fact it is a product of Stafford’s keen ability to discern poetic language in everyday speech and appropriate it for his own work. Stafford, whose first volume of poetry was not published until 1960 when he was forty-six, was born in the small town of Hutchinson, Kansas, on January 17, 1914 and died in Portland, Oregon, on August 28, 1993 at the age of seventy-nine. He came to my high school when I was a freshman and read poetry to us. 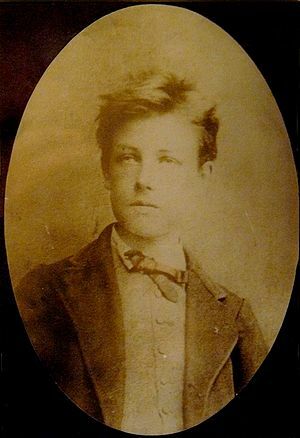 I had been reading the French poet Arthur Rimbaud, in the Louise Varese translation published by New Directions, and was all hopped up about the poet as visionary and seer, about the power of poetic vision on the soul. It was a brilliant question. I stood there while the entire audience turned around to admire my brilliance. My face went red. I sank down into my seat. Humiliated. You can read many of William Stafford’s poems at Selected William Stafford Poetry. 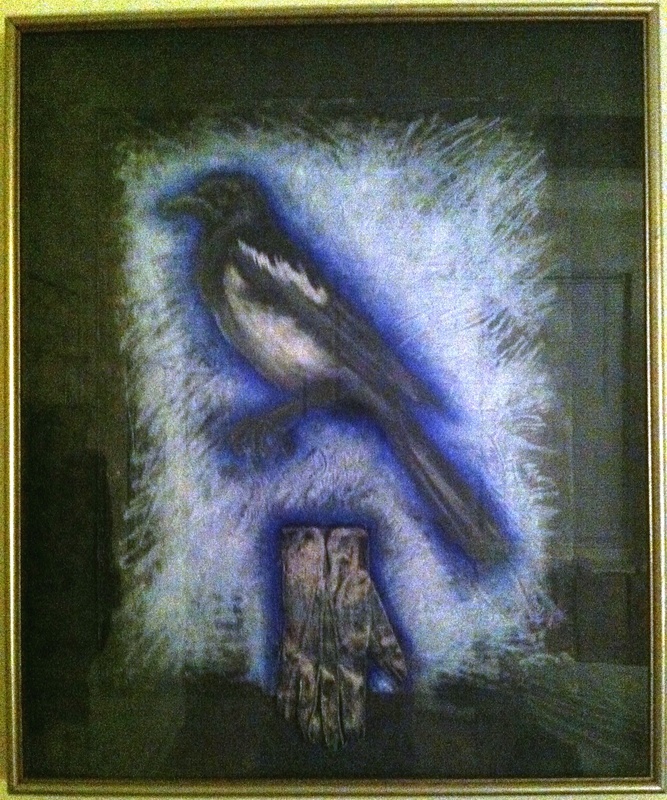 Magpie by Diane Stiglich (collection of the author). I’m not around magpies much these days, living on the East Coast. I miss them. Magpies, all corvids, really, are a totem for me (bears, especially polar bears are my other totem). Highly intelligent birds with bad reputations, they are a lot of fun. Advice that also, curiously enough, reminds me of magpies. over a name carved in black granite. resembles the architecture of I. M. Pei. pages, bookshelves, miles, can be connected. Years ago, I had an idea for a “Poetry Channel”: an all-poetry cable network featuring poets and celebrities reading poems, poets being interviewed, and films about poets or based on poetry. I didn’t pursue the idea because, well, because my idea for the “Disaster Channel” got shelved and that was how I was going to back my poetry idea. But I recently stumbled upon Mary Karr’s “Poetry Fix,” which brings to life the kind of programming I had in mind. You can check out more on Mary Karr’s YouTube channel. It’s a great series that’s just started and worth following as it develops. A curious thing happened to me yesterday in New York City. 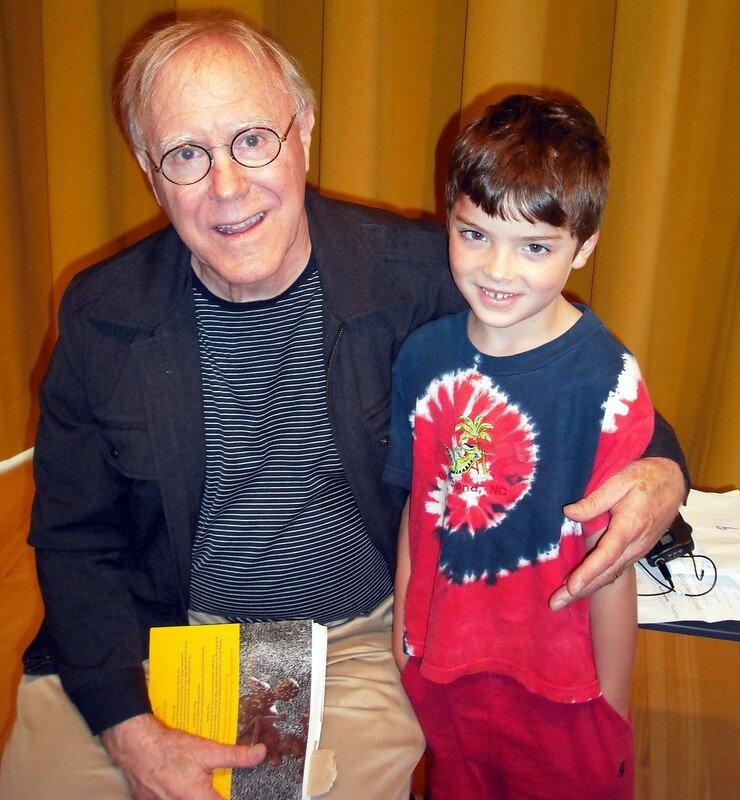 Robert Hass read at Poets House and gave a program for children in the morning. I took my six-year-old son, Walker, with me because he’s started writing poems (he’s got me beat by 3 years!) and we spent the day in the City alone together. Indeed, it felt like that when I introduced Bob to my son. Bob has grandchildren Walker’s age and it wasn’t lost on me that there was something transpiring between our three generations. Bob read Walker’s poem and declared, “This is a real poem.” We both smiled. It was a magical moment to have a mentor appreciate the work of your son. I was really feeling blessed that morning. Later, after wandering around Tribeca and the wonderful riverside parks along the Hudson, Walker and I sat on the rocks behind Poets House in the newly opened South Teardrop Park and listened to Bob and his wife Brenda Hillman read their poems into the late afternoon. What a magical day. The Snow that crunches beneath my feet. Oh the wonderful snow, snow, snow. The snow that tastes so wonderful. The snow, the snow, the snow. The snow I’ve been waiting for all year. The Snow I’ve been waiting for.